The Scripps researchers have exploited the hidden romantic tendencies of heterocyclic molecules—their love and attraction for radicals (highly reactive compounds). They have created a toolkit of “zinc salts” that morph into superhero radical molecules under the right conditions and react with the heterocycle, slyly attaching the desired chemical group to these rings as the two mingle. 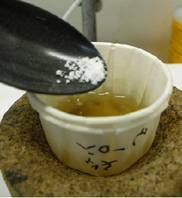 These zinc salts are particularly handy for attaching fluorine atoms, which can help a drug absorb into the bloodstream and remain in circulation longer. The practical implication is that a patient might need less of a drug or need to take it less frequently. The toolkit has been very successful in multiple applications, and medicinal chemists at several pharmaceutical companies, including the world’s biggest, Pfizer, are already using these salts in their quest to speed up drug development. That’s vital because developing a drug from scratch takes on average about 14 years. 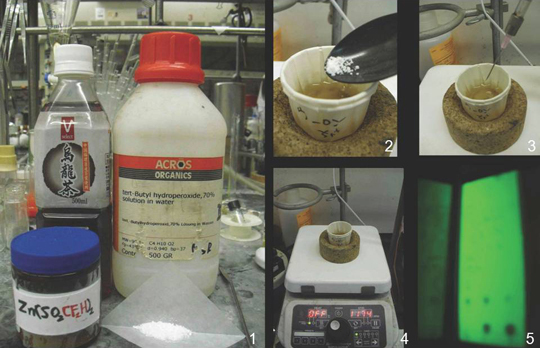 A spinoff from this basic research is that chemists from all fields who work with heterocycles will benefit from this cheap and easy short cut, which can now be performed in any lab. Another advantage of these new tools is that they can complete their mission under many conditions – even in chemically complicated, or what scientists might call “dirty,” surroundings. To demonstrate this point, the Scripps team turned to oolong tea, which is a complex brew of hundreds of chemicals. They filled a paper cup with oolong tea and then, instead of stirring in a teaspoon of sugar, they added one of the new zinc salts. To their delight, the zinc-based salt formed a radical and zeroed in on the caffeine molecules in the tea, altering their structure. The tool kit is simple, practical, and cheap—just the right cup of tea for drug design! 5) Voila! Modified caffeine molecules, indicated by pale blob on far right. Practical and innate carbon–hydrogen functionalization of heterocycles. Fujiwara Y et al. Nature (2012) November 28.